2018 OO Model. My OO’s have quickly become my most popular model which is why I have decided to make a couple of these guitars a year outside of my build schedule and release them for immediate sale. This instrument is extraordinary in every way. Light weight, comfortable to hold and tone to make most larger guitars sound small in comparison. 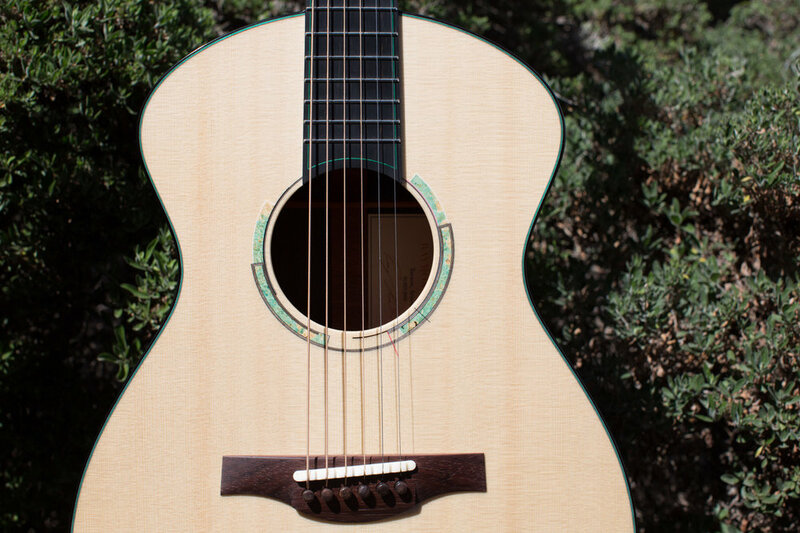 I designed it with green in mind which pops beautifully next to the the Euro Spruce and Brazilian Rosewood.